Just in time for busy seasonal days and nights a pot luck dish to warm you up on a chilly night. I prepared this dish early in the day and made the “dumpling” batter just before baking for 15-20 minutes. Perfect for a day of completely messing up my house…while I don’t go completely nuts decorating, I make a mess and I started early this year! After spending a full day of shopping for stuff and especially Christmas wreath ribbon, I found that most of it doesn’t work and must be returned, but I have a volunteer for that return trip so I can continue making a holiday mess, but dinner will be ready amongst the ruins. 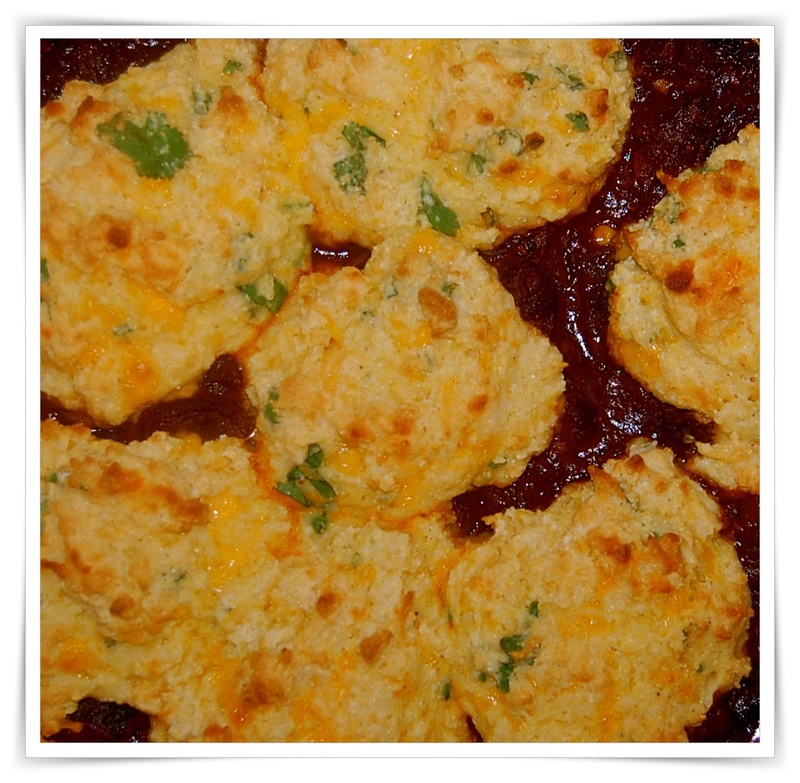 Braised Chili Beef 1Cornbread and Coriander Dumplings reduce to half for my halved ingredient portions above. Heat 1 tablespoon oil in a large, heavy-based saucepan over high heat. Sprinkle the beef with salt and pepper and cook, in batches, for 3 minutes each side or until browned. Set aside.Heat the remaining oil in the pan, add the onion and garlic and cook for 5 minutes or until softened. Add the paprika and chipotle chillies and cook for 1 minute. 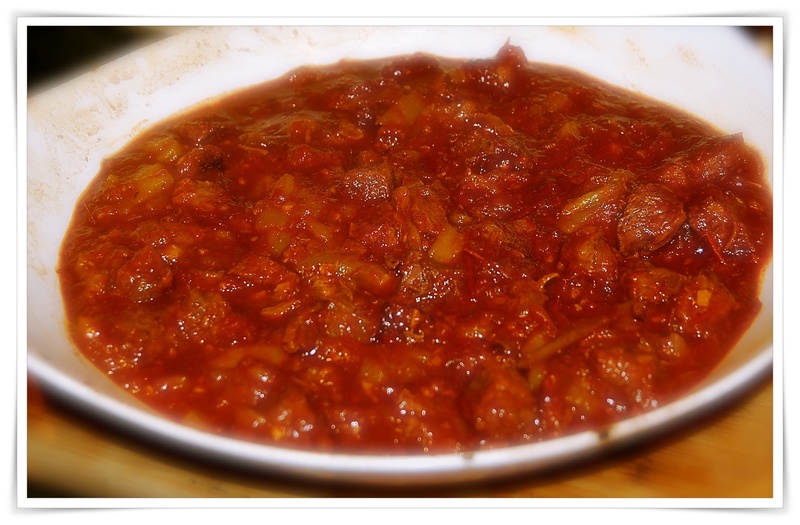 Return the beef to the pan with the brown sugar, tomato paste, cherry tomatoes, and stock, and bring to the boil. Reduce heat to low, cover with a tight-fitting lid, and cook for 3–3½ hours or until tender.Preheat oven 400°F. Place the flour, baking powder, polenta, buttermilk, salt and pepper, cheese, coriander and chilli in a bowl and mix to combine. Place spoonfuls of the mixture onto the beef and bake, uncovered, for 15–20 minutes or until cooked through and golden. Serve with sour cream, if desired. Serves 8. *Chipotle chillies are smoke-dried jalapeño peppers commonly used in Mexican cooking. Find them at spice shops and specialty grocery stores.